Create vivid kaleidoscope patterns in this dazzling logic puzzle! 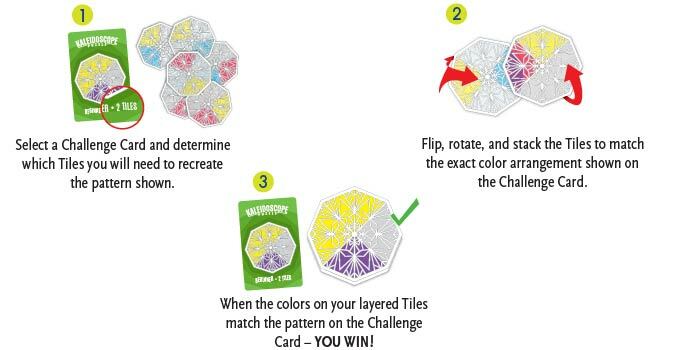 Twist and stack Kaleidoscope Tiles to match the patterns shown in the challenges. Pay attention – you may need to combine colors to perfectly match the cards!